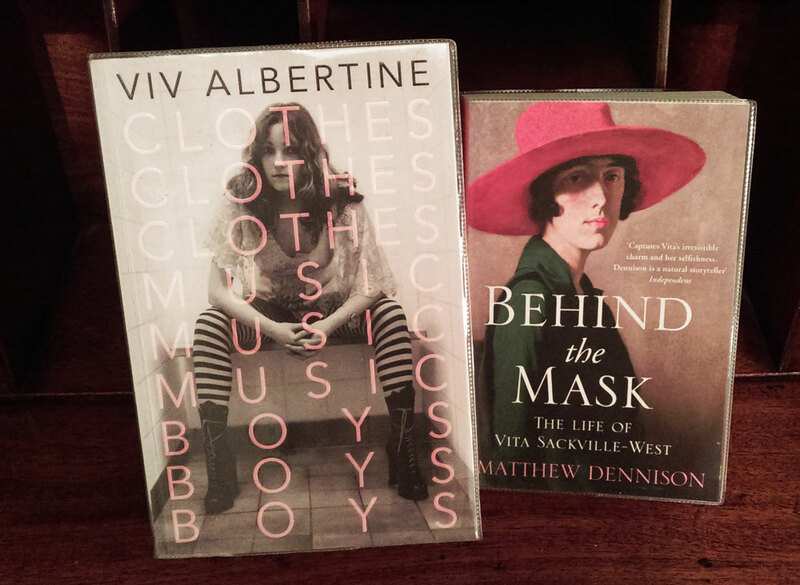 Vita and Viv: what polar opposites. One born into immense wealth and privilege, blessed with an unhealthy arrogance, unblinkingly forging her own path on her own terms, the other brought up without money or connections, lacking in self-confidence, but equally determined to make her mark on the world and stay true to herself. Both pioneers of their age. Vita could never be her true self in public while Viv lived in boundary-smashing times. The age of punk was also a time of squats, art colleges and student grants, when living on the dole while honing your art or music or simply personal style was a viable, nay commendable, lifestyle choice. I have to say Viv is the more sympathetic character of the two – Vita reminded me of Vivienne Westwood, who Viv describes as “scary, for the reason any truthful, plain-talking person is scary – she exposes you… She’s uncompromising in every way: what she says, what she stands for, what she expects from you and how she dresses.” That could just as easily have been written about Vita. Consider this: Three sisters, daughters of a hardworking, doting father and a pushy, socially ambitious mother. All three live their lives in the brilliant glare of society, make disastrous marriages ‘for love’ etc. Remind you of anyone? It’s the Kardashian sisters OH NO WAIT it’s the JEROME sisters!!! That’s Jennie, Clara and Leonie, sassy 19th century American socialites who all married into the British aristocracy, with Jennie making the most glittering match of all as the wife of Lord Randolph Churchill and mother of Winston. These megababes were talented in all the feminine arts, from piano-playing, riding and dancing to making pleasant chit chat and, of course, appearing highly decorative. You can read all about them in Elizabeth Kehoe’s fascinating book, Fortune’s Daughters: The Extravagant Lives of the Jerome Sisters. Kim is Jennie, the most famous, glamorous and beautiful of the three sisters who lived most of her life in the spotlight and whose tastes were much commented on and copied. Jennie was said to have had numerous affairs with some of the most powerful men of the age, including the Prince of Wales, later King Edward VII. Kim had Ray J and Khris Humphries so Jennie’s probably winning on this front. Kim has three marriages to Jennie’s two, but all were love matches, impulsively rushed into and in some cases, regretted. Whether little North West will turn out to be a twenty-first century Winston Churchill remains to be seen, but there is definitely a resemblance between Kanye West and Winston’s charismatic, powerful, (and should I mention possibly syphilitic? Imma not let myself finish) father Lord Randolph. And finally, Khloe is Leonie, the most sensible of the three who married once for love, wasn’t quite as pretty as her sisters but was very down to earth, generous and popular. So what can we learn from this sketchy Komparison (sorry)? That people will always be fascinated by that potent combination of beauty, money and scandal. That families stick together through thick and thin and ill-advised 72-day marriages. And that there’s no force greater than an amibitious mother (see also: Mrs Bennett). 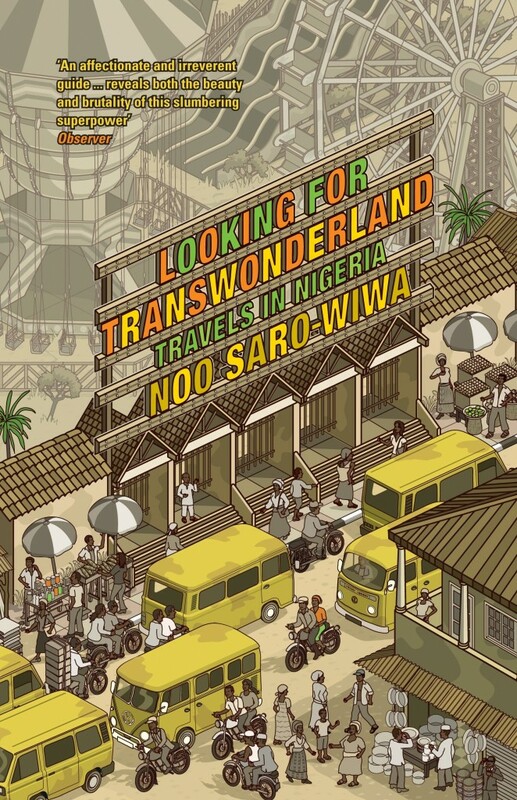 When I was roaming the aisles of Epsom library looking for something to make my commute a little less grim, I never imagined that a book on display in the travel section – Noo Saro-Wiwa’s Looking For Transwonderland – would bring my Nigerian childhood so vividly back to life and inspire me to want to write one of my own. (There, that’s in print now so I’m going to have to do it). Noo graciously met me for a conversation that involved much reminiscing about plantain, Port Harcourt and watching the same films over and over on VHS (in her case Coming to America, in mine Hello Dolly), as well as reflections on the new wave of Nigerian writing, identity and the tricky, scary art of writing the personal. Did you feel any apprehension about embarking on this journey re. your dad (the Nigerian activist Ken Saro-Wiwa who was executed in 1995) and how did you overcome it? In terms of the discipline of writing a book, especially non-fiction, you’re just writing down what’s happened. It’s just like a giant status update, it’s very easy! 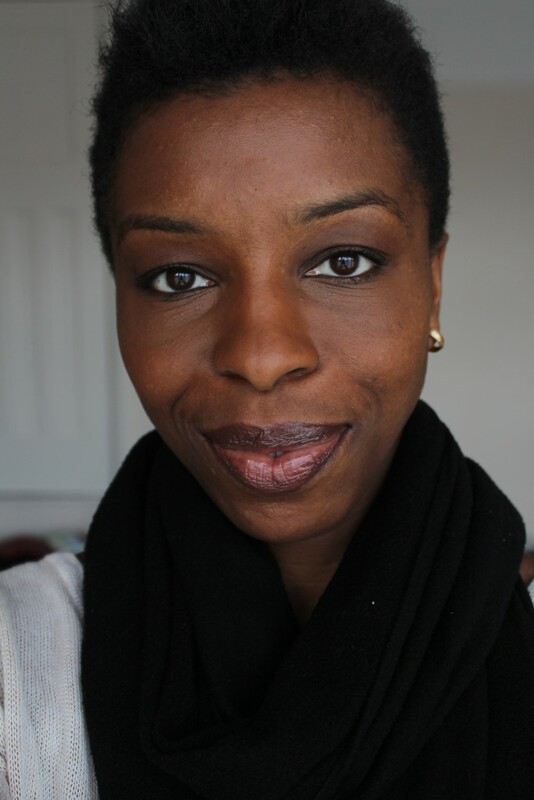 So that part of it was alright, but I was kind of skirting the issue, when I first told my agent that my second book would be Nigeria, I was like ‘yeah I want to travel around the country, but I don’t want to talk about anything about my family, I just want it to be a travelogue’ and she was just like ‘listen, you cannot do that. With a name like yours people are going to find it weird.’ And I was like ‘I really don’t want to do this.’ But I realised that that’s what I was going to have to do. But of course when you’re writing, quite often you write on two levels – there’s that superficial level and there’s the real, deep stuff. And it’s being able to access that – sometimes you think you’re being deep, but you’re holding back and not realising it, and so once you realise that, actually confronting the truth makes the writing a lot easier. It was difficult. But on the whole it was really good, the whole process, the travelogue element was very easy, and actually just weaving it into my personal story made perfect sense. Wherever I went, a few instances I’d been there before when we were kids, so you would tie that in or there was an issue like corruption. So you just have to bring all that personal stuff into it and it totally enhances the writing, but it wasn’t easy. I had to be pushed. If I’d decided to publish on Kindle or something and I hadn’t had an editor the book would have been so different. 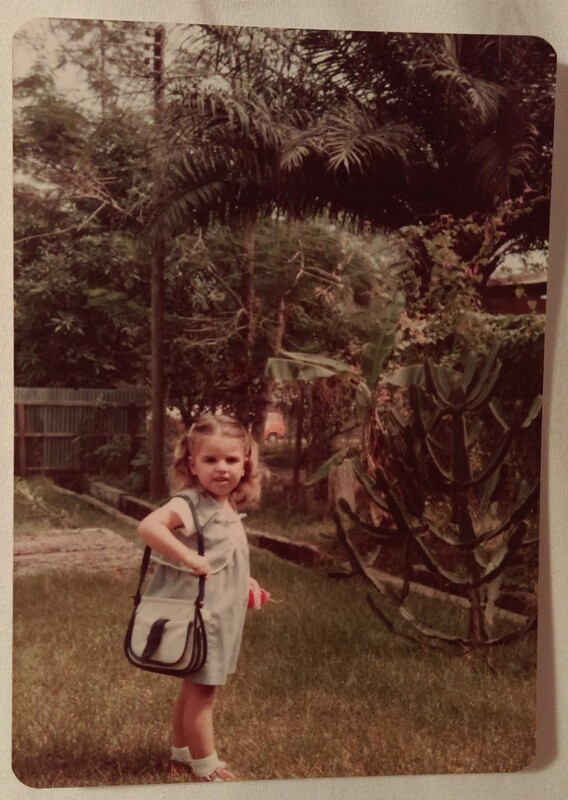 In keeping with this issue’s theme of ‘growing up’, how did it feel going to Nigeria through choice as an adult, as opposed to being dragged there as a reluctant kid? The thing with freedom is that it’s wonderful, it’s very liberating but it’s also very scary. I arrived in Lagos and I don’t plan my trips ahead, I just knew I was staying with my aunt and that was it. I’d always been chauffeur-driven and I was like ‘Oh my God, how am I actually going to get around? !’ So I was forced to engage and forced to figure out my way around. But it was really nice, you can go where you please, you’ve got money – you’re not begging your parents for pocket money or anything – and it was just wonderful, you see the country or the city in a completely different light. The possibilities all around you – you can talk to that random person, you can go to that fancy shopping mall, you can engage with it in exactly the way that you do in London or New York. That really changed things. It makes you realise that as a kid, you think that you don’t enjoy being in a place, but actually it’s just you don’t enjoy being ruled by your parents or told what to do. So it was very liberating. It changes the way that you view a place. Nowhere is boring when you’re an adult, when you’re a kid everything is boring. Has your ‘outsider’ status here and in Nigeria has helped you as a writer – even made you a writer? I don’t know what makes me a writer, I have no idea, but that constantly comparing and contrasting definitely helps, because if you’re an English person who’s a bit narrow minded and prejudiced, you’ll just look at the world and say well things are better here because we’re better, whereas if you’re a Nigerian who’s raised over here you know that’s not true. You know that people over there are just as smart as people over here, so you question and you analyse. I think that has really helped me, and I think that being a diasporan meant I was much more likely to travel round Nigeria. You’re not likely to do that in your own back yard… This book would never have been written if I’d been raised in Nigeria. And that’s why it annoys me when people say diasporans shouldn’t write about Nigeria – if I hadn’t written this travelogue who else would? I was influenced by Western travel writers, I saw them travelling around and thought I want to do the same thing, and if I’d gone to school in Nigeria I wouldn’t have been exposed to those books. I’m very glad that I straddle both worlds. Did you finish the journey/book feeling optimistic about Nigeria, and how do you feel now? It’s a very extreme country, there are so many good things going on, so much potential, but there are all these underlying factors and that’s what I concluded in my book, that’s what I felt then and I still feel that now. You could sense that something [Boko Haram] was going to happen – with a country like that, when you have that level of corruption, people are poor, it’s going to happen one way or another. Prior to September 11 it was different – people would express their dissatisfaction differently. This is the problem – this is why countries have to deal with poverty, because in any given decade you can think ‘Oh well, we’ve just ticked along, we’ve got this poverty but everything’s fine’, but eventually there’ll be some external factor that’s just going to come along and change the game, and that’s exactly what happened. You had poverty in the 80s and 90s, people barely even protested sometimes, but now… no-one predicted September 11, al quaeda, so that’s just come in now. But the preconditions for that, the poverty, it was there, you knew, you could tell that something was going to happen. When I went to Maiduguri in 2008, it was just a miserable town. It’s sad, it’s like they’re on a beach, there’s so much desertification. People don’t have firewood any more, they’ve chopped down the trees, it’s like this can’t go on. You feel like Boko Haram is just an inevitable consequence of all that. But at the same time you go down to Lagos and things are really happening. You’ve got this governor Fashola who’s really made an effort to improve the city, and the south is generally better educated and so once the military dictatorships had gone and things had opened up, you could see that Nigerian entrepreneurial spirit taking hold, so things were changing. But there’s always that thing lurking, corruption, religion, so for me Nigeria is as it’s always been, just a constant precipice – things could go really well, things could go really badly, you just don’t know. There’s always tension that never turns into civil war, it’s a country that’s permanently on the brink. One of the best things about the Agatha Christie and Miss Read novels set in the 1960s is they give a fascinating insight into how that decade must have felt for the older generation. All we ever seem to hear about is how groovy and liberated the ’60s were – how the ‘youthquake’ was such an exciting time for young people – but to those of middle age and older who lived through at least one world war, it must have been a disorientating, bewildering time. Christie and Read convey this with power and precision, perhaps because they were of that generation, and it’s a rare and welcome alternative view of the so-called swinging ’60s that we don’t often encounter. Agatha Christie uses the massive social upheavals of the ’60s as a handy plot device – people aren’t always who they seem, so many records were destroyed during the war that a young woman turning up in a village with a small child can say she’s a widow who’s husband died in battle – but is she? Equally, that cantankerous old colonel tells a convincingly tedious tale of his years in India, but is he the real deal? Without the system of recommendation that used to be the glue that held society together – a letter from an aunt to the local vicar, someone’s godfather vouching for a young man’s credentials etc – identity becomes a slippery concept and one that can be used and abused. The traditional English village that defines the Miss Marple stories is intact, but there’s a council estate on its outskirts and young girls in mini skirts pushing prams jostle the old maids on the pavements. Teddy boys loiter on corners and there’s a pervasive sense of anxiety, of connections being broken and histories lost. 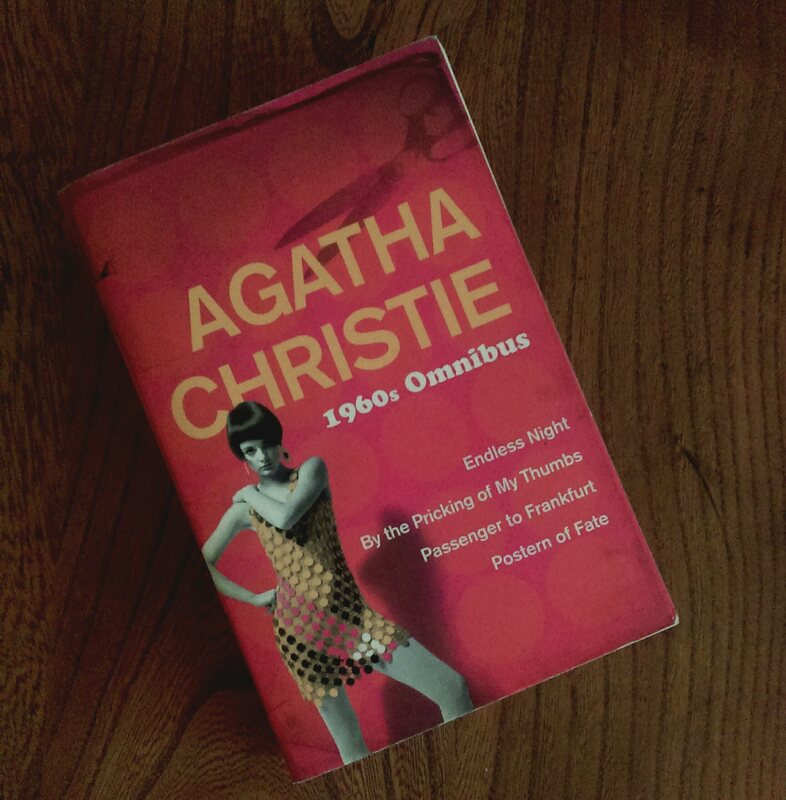 There’s a definite sense of ambivalence in Agatha Christie’s writing when confronting the modern age. She mourns the passing of old structures and systems and the comforting familiarity they offered – swept away with the enthusiasm of zealous youth and replaced with… what exactly? In Christie’s mind, a vacuum is a dangerous thing. But Miss Read (or Dora Saint as she was in real life) is more pragmatic about change. Her Fairacre and Thrush Green novels also chart the passing of life in quiet rural communities and again the massive social upheavals of the ’60s make themselves felt. The traditions of the country calendar continue – harvest festival, the annual village outing to the seaside, the WI’s summer fete – but advances in agriculture mean the young men of the area no longer work for the farmer, but travel to the nearby nuclear power plant everyday instead. She is a realist, not overly sentimental about the vanishing past. 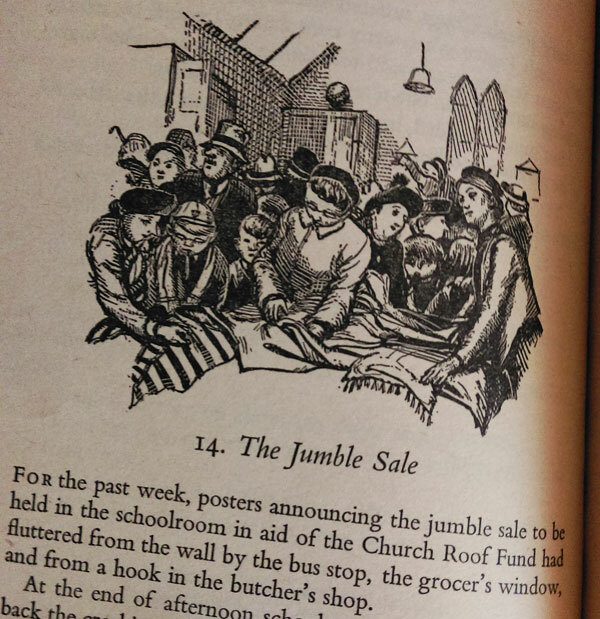 She points out that the children no longer arrive at the village school with Victorian ailments such as chilblains and mumps – their diets are better, their homes have central heating and indoor plumbing, they are stronger and healthier. Those olde worlde thatched cottages might look picturesque but they too often concealed damp, bad sanitation and serious deprivation and hunger. My love of these novels feeds into a greater passion for the work of women writers of the twentieth century. Domestic fiction (sneering phrase) doesn’t get much credit but in my opinion if you want a real insight into the soul of a period and its people you’ll read the stuff written by women about everyday life. It’s human sized. They notice stuff, like the difference between veg in a new suburb (small, pale, withered) compared to what you find in a country village, or how unbelievably difficult it was for a lone teacher to manage a class of 50 or even 60 children. It’s these tiny domestic details – seemingly unimportant ‘wallpaper’ that is far from being trivial, but reveals so much. Oh and finally, these two writers are also good for showing that spinsterhood need not be regarded as a lonely, frustrating fate worse than death, but rather as a liberating, fulfilling state. So THERE! 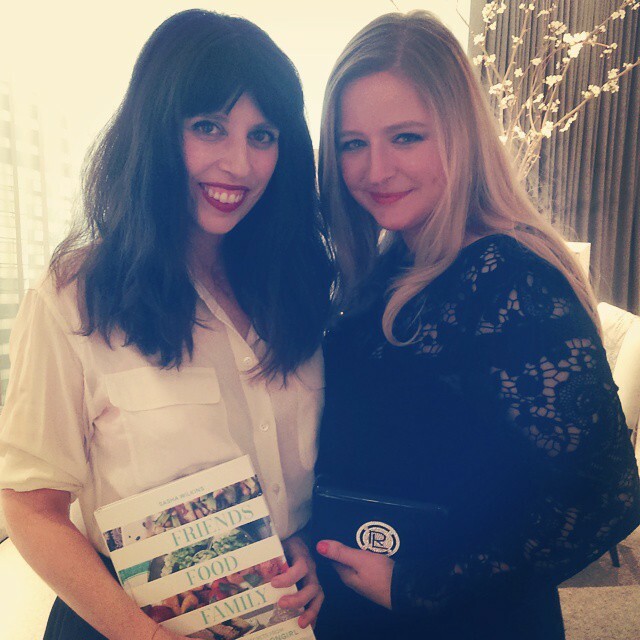 I own a lot of recipe books, and I bet you do too. And I’m equally willing to wager only a tiny proportion of them are covered in flour and greasy fingermarks like a well-used, well-loved recipe book should be. The one I refer to most often because it contains delicious recipes that look impressive but are relatively simple to make, is Nigella Lawson’s Nigella Bites. 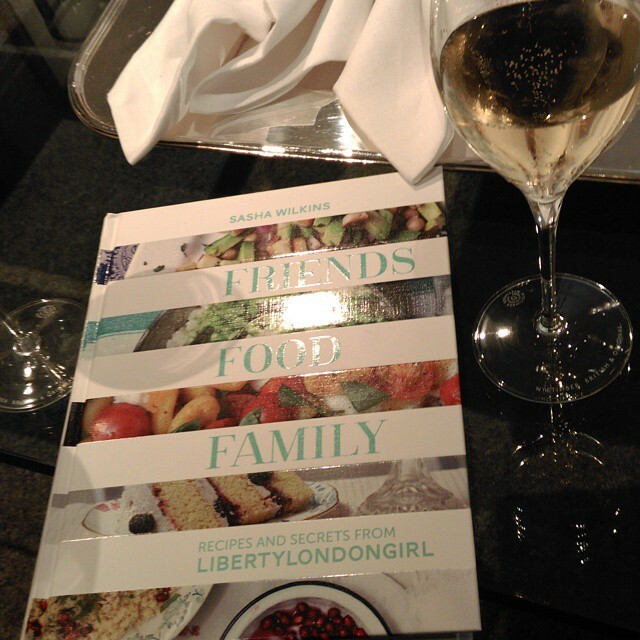 But I think that might change very soon, as the latest addition to my kitchen windowsill is Sasha Wilkins aka Liberty London Girl’s new recipe book,Friends, Food, Family. 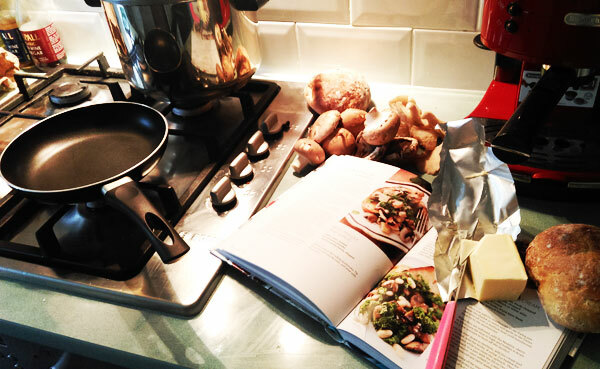 Last year I was one of the lucky, greedy guinea pigs who enjoyed the bounty of Sasha’s dinner table while she exhaustively trialled the recipes for her book so I can confirm that they are very tasty indeed. 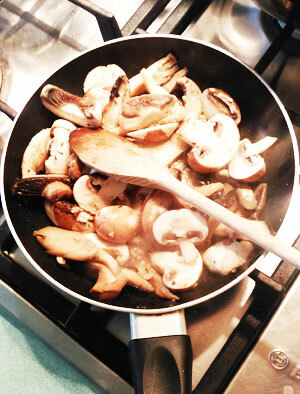 And last week I attempted one of the mushroom-on-toast recipes to prove that they were easy to follow too. But what comes across in both the words and the pictures in this beautiful book is a message that’s more important than how to make a Victoria Sponge rise (though this is obviously crucial information.) What Sasha delivers is a lesson in living well – enjoying the company of your nearest and dearest, nurturing them with the food you make, yes, but also nurturing yourself by creating shared moments of kinship. Drunken dinner parties where you set the world to rights over bottles of prosecco and something warm in a casserole dish, Sunday lunches that go on for hours with children and small dogs crawling around under the table, impromptu picnics, al desco snacks that lift the spirits rather than crushing the soul. Sasha makes her point elegantly and emphatically: cooking good food should be a pleasure, not a stressful chore. Buy the best ingredients you can find and afford, cheat whenever possible to minimise your time in the kitchen and maximise your time at the table, because ultimately what matters is the memories you make, not whether the soufflé rose properly. Peppered in between the recipes are handy lists based on Sasha’s travels – the best flower markets in cities across the world, ingenious ways to arrange flowers to look fancy, and a killer dinner party playlist featuring Taylor Swift and Patsy Kline – all drawn from her experiences as a globetrotting, multitasking blogger and editor. Oh and praise be, she calls them FAIRY cakes NOT cupcakes and if that doesn’t convince you of this book’s credibility I don’t know what will. "Vogue loves...Indie mags: Hogarthian graphics and modern feminism from Pamflet"